Coldwell Banker Real Estate is debuting one of the highest-ranking ads of all time by Ace Metrix. The 60-second TV spot, titled “Somebody to Love,” begins with a shot of a man longingly looking at a picture frame beside his bed. It then pans to a stray dog who is wandering the streets. The two meet at an adoption event, and an original soundtrack plays “you rescued me,” when he brings the dog home. The spot, from Los Angeles-based Siltanen & Partners, can be viewed below. Ace Metrix, the leader in measuring the impact of television and digital advertising, scored “Somebody to Love” as the highest-rated real estate ad of all time, and one of the top 20 in all categories. It scored 779 in likability, higher than any ad debuted during the 2017 Super Bowl. The spot is part of the three-year campaign called the “Homes for Dogs Project,” initiated in partnership with Adopt-a-Pet.com, North America’s largest non-profit pet adoption Web site. Together, the organizations have helped find homes for more than 20,000 dogs online and through more than 675 adoption events as part of a national adoption weekend. The “Homes for Dogs Project” has another national adoption event slated for Sept. 9 - 10. 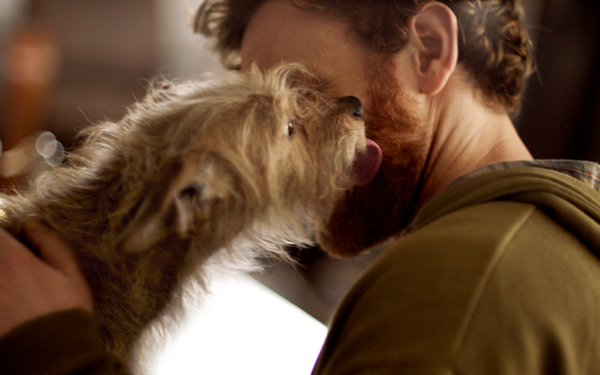 The Coldwell Banker brand purposely chose Scout, an adopted dog, to star in the spot. Viewers can learn more about her and watch other behind-the-scenes footage at the realtor's Web site. Coldwell Banker is also teaming up with Givewith, a philanthropic platform that allows companies to underwrite consumers’ charitable donations. The platform will allow people to click a button and Coldwell Banker will donate money to Adopt-a-Pet.com. The spot kicks off the third year of the campaign and captures the magical feeling and joy pets bring to our home, says Sean Blankenship, chief marketing officer for Coldwell Banker Real Estate LLC. In May, Coldwell Banker will release a series of vignettes that don’t involve pets. 1 comment about "Coldwell Banker Debuts Rescue Dog TV Spot". M L from Student, March 27, 2017 at 3:17 p.m. This ad was such a heartfelt one and I can see why it did so good. It had mixed feelings of sorrow and happiness to hit on people’s emotions and make the ad successful. I like how the article backed that up by saying how high the ad ranked and how it did on the Superbowl. I also like the organization that is behind the ad and that they’re a non-profit one and how they’re in support of the adoption of animals. It was also nice to know that the dog in the ad was an adopted dog from one of their adoption centers. I really hope that they make more successful ads like this one to increase the number of pets being adopted across the nation.